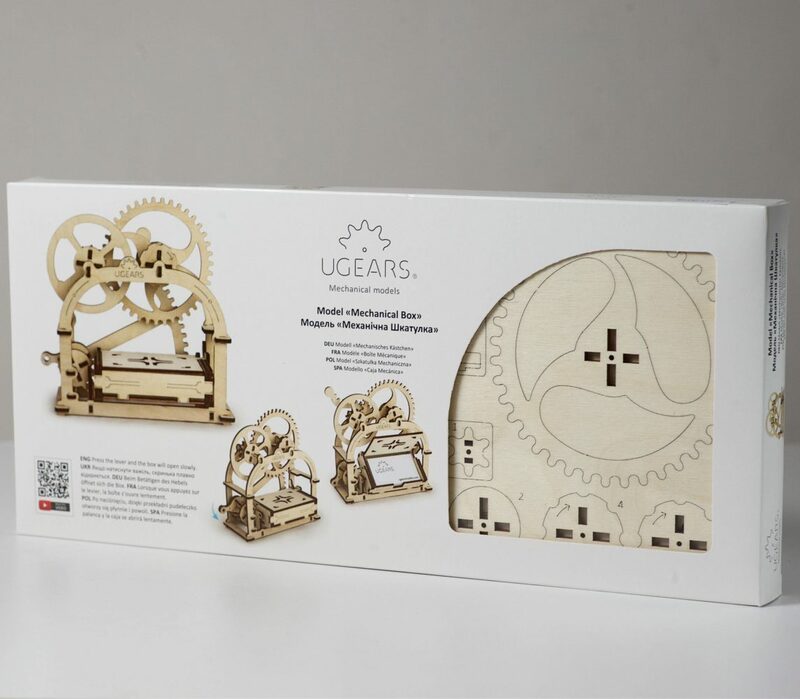 Add a touch of clever whimsy to your home or office with Ugears Mechanical Etui Box. 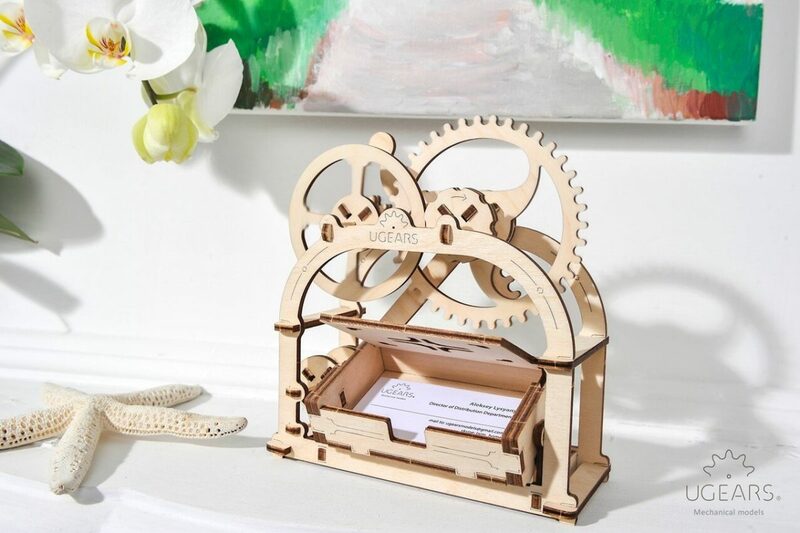 This pretty little box, or “etui” is a delightful decorative way to hold business cards or store some of your cherished knick-knacks. 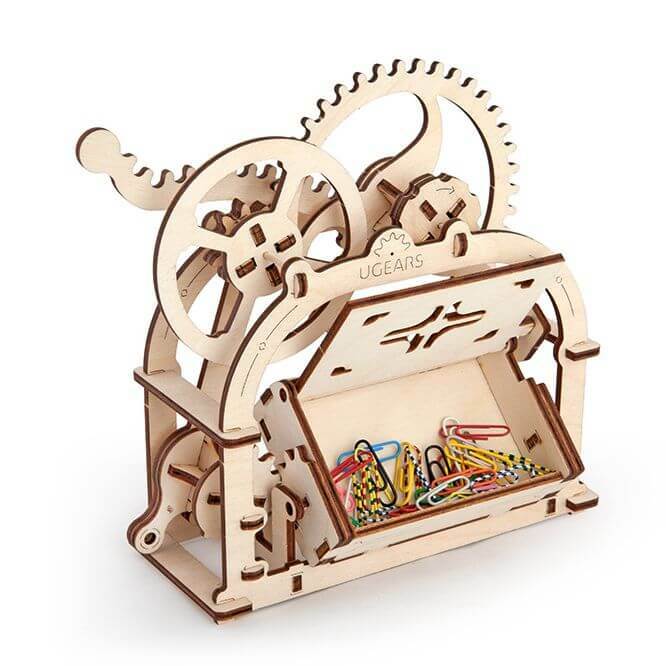 Press the side lever to gracefully raise and open the box to reveal its content. The kit includes two interchangeable panels – one for easily removing cards and the other for keeping small items from spilling out. 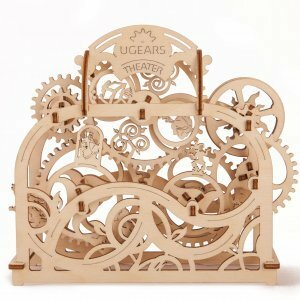 UGears Mechanical Box is not just a pretty stooge. 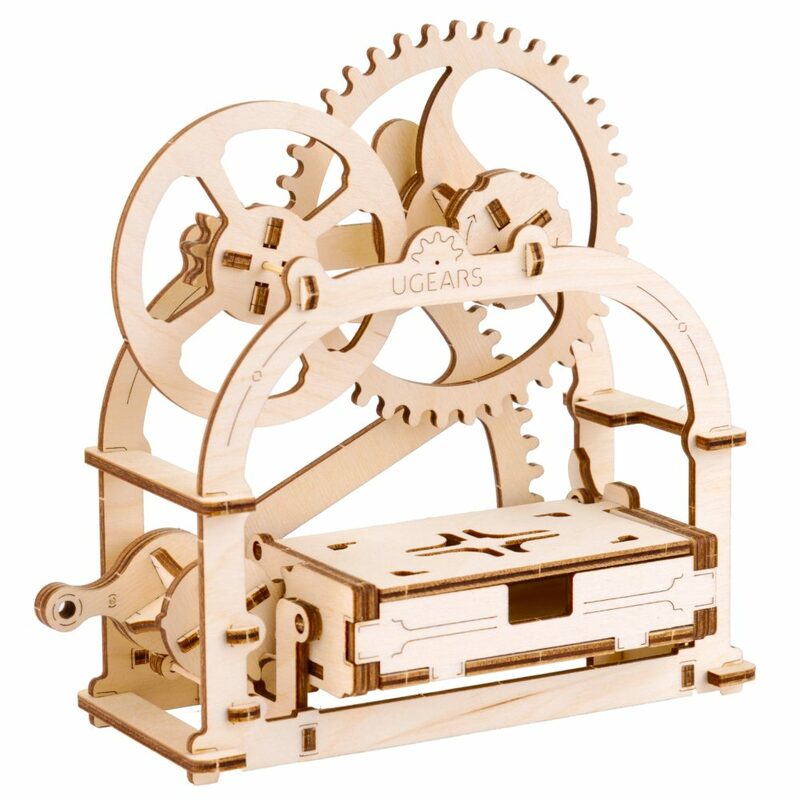 Like all of Ugears wooden models, it is a 3-d mechanical puzzle. Pretty easy and simple and works great but I had a little bit of trouble pushing the wood picks through. I needed a very unique, but sort of limited budget gift for my new vendor. What an original way to get someone’s attention! 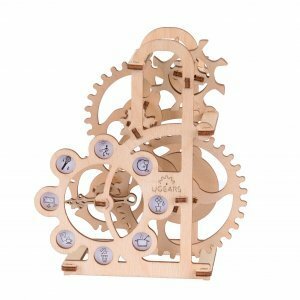 Awesome and fun mechanical puzzle to put together! 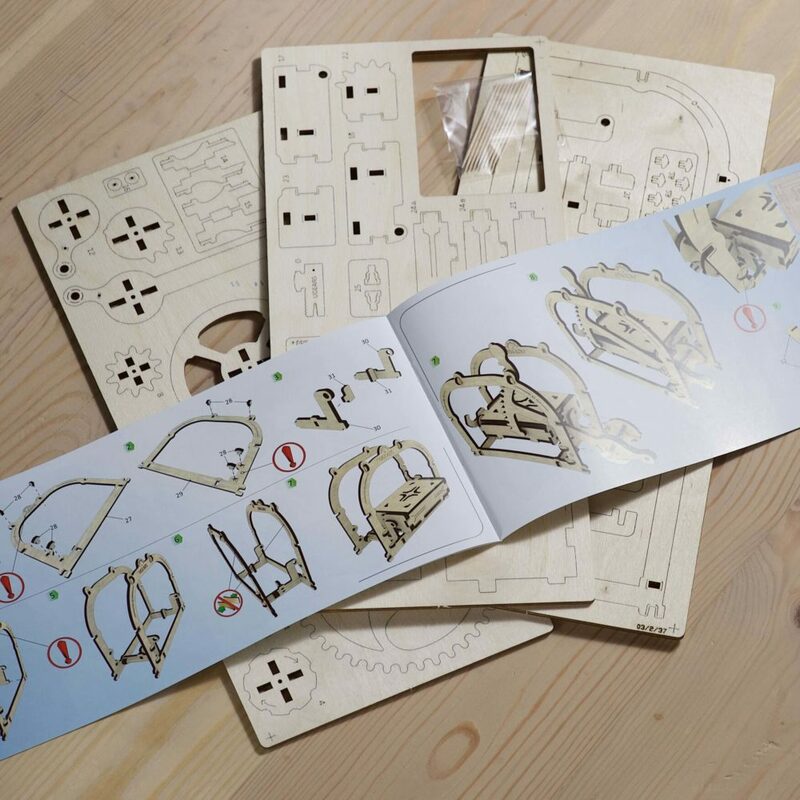 Easily put together in about an hour. It was fun to put together and looks awesome! Challenging, but not so bad that it’s frustrating. Definitely will be asking for Tractor and Trailer for my Birthday. At first I couldn’t figure out what it was and what to do with it. But when I finally opened a box weeks later, it captured my attention and I spent the entire evening putting it together. It now proudly takes a place on my work desk, holding business cards with my brand new name printed on them!